Anna “Marie” Williams, age 95, of Iowa Falls, Iowa passed away Thursday January 17, 2019 at the Mercy of North Iowa Hospice Center in Mason City, Iowa. Funeral services for Marie will be at 1:00 pm Monday, January 21, 2019 at the First Christian Church in Iowa Falls. A time of fellowship and visitation will be from 11:30 until 12:30 Monday, January 21, 2019 also at the First Christian Church in Iowa Falls. Burial will be at the McCallsburg Cemetery, just south of McCallsburg, Iowa. The Linn’s Funeral Home in Iowa Falls is helping the family with arrangements. For further information please visit: linnsfuneralhome.com. Memorials may be directed to: Marie Williams Memorial; c/o Linn’s Funeral Home; 1521 Washington Ave., Iowa Falls, IA 50126. Anna Marie Erickson, later just known as Marie, was born January 22, 1923 in Warren Township of Story County, Iowa. She attended the country school near McCallsburg until about 1936 reaching the 8th grade. In 1952 she was united in marriage to Glenn Austin Williams, and to this union two children were born, David and Linda. Glenn and Marie were later divorced. During most of her life she was a homemaker, however she did work for a short time at Ed’s Super Value. She was an avid reader, and was always giving and loving. 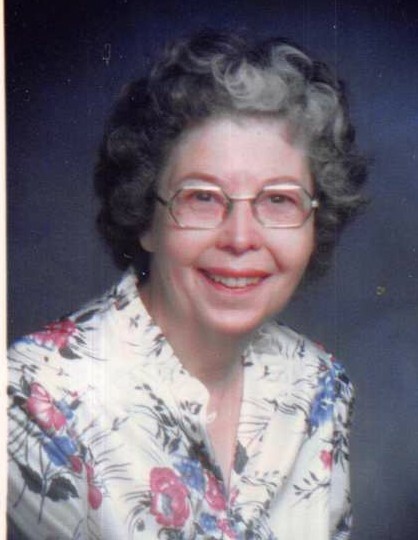 Marie exemplified her deep faith in God through her interactions with her family and friends. Her families’ fondest memory of her is that she was overly generous, and was always more than happy to give anything to anyone in need. They also enjoyed her keen wit and great sense of humor. Anna Marie Williams is survived by her two children: David [Cynthia] Williams of Billings, Montana and Linda [Chad] Stemper of Monona, Wisconsin; seven grandchildren: Ariel, Aubrey, Dustin, Troy, Kristine, Benjamin, Sarah; eleven great-grandchildren; and a sister: Gerine Corbin of Boone, Iowa. Marie Williams was preceded in death by her parents: Cornelious and Amanda Erickson; seven brothers and sisters: Hildred Osvig, Evelyn Hill, Mae Lovig, Selmer Erickson, Marvin Erickson, Alta Lunning, and Corine Moore.